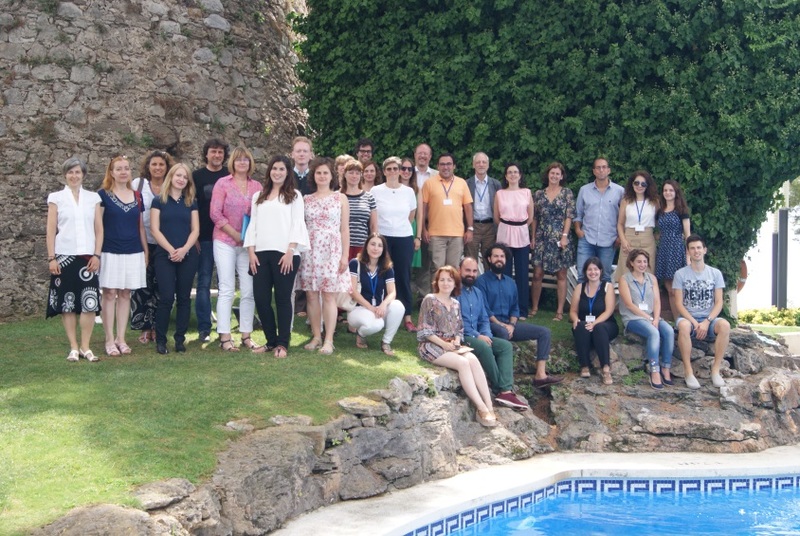 On 27-29 August, the final workshop and closing meeting of the SELECTA Project (“Smart ELECTrodeposited Alloys for environmentally sustainable applications: from advanced protective coatings to micro/nano-robotic platforms”) took place in Castelldefels (Barcelona). Apart from the scientific discussions and the project management meeting, workshop attendees had the chance to visit the installations of Sincrotrón ALBA, located in Cerdanyola del Vallès (Barcelona). The SELECTA Project forms part of the Marie Sklodowska-Curie initiative, Innovative Training Networks (ITN), aimed at training a new generation of researchers through the agency of an international network of public and private centres. The research work carried out in this project has focused on the manufacture and characterisation of new protective coatings and wirelessly-activated micro/nano-electromechanical systems for sustainable environmental applications. The project (H2020-MSCA-ITN-2014 no. 642642) saw the participation of nine beneficiaries and six collaborating organisations belonging to 10 different countries of the European Union (in addition to Switzerland and Serbia). The complementary relationship between the different project partners, including university research groups, technological centres and private companies, has enabled the establishment of a high-level multidisciplinary educational programme. During the workshop, research trainees (Early Stage Researchers, ESRs) presented the main results obtained during the project, enumerating the most significant indicators and milestones achieved in each case. Throughout the three years the project has lasted, different innovative coatings based on new alloys obtained by electrodeposition (Fe, Cu, Al and other non-toxic elements) have been developed with structures, morphology and geometries defined to meet different technological demands, such as a high resistance to wear and rust, higher magnetic properties and/or high impermeability. CIDETEC took part in the SELECTA project as an associate, participating in ESR workshop training and the courses held throughout the project, and monitoring the different investigations undertaken. Two ESRs from the University of Vilnius (Lithuania) and Chalmers University (Sweden) underwent residencies in CIDETEC Surface Engineering in the context of the project, enabling the development and characterisation of composite electrodeposits based on alloyed FeW, with properties comparable to those of hard chrome, which can serve as an alternative for this coating in such high demand in strategic industrial sectors like aeronautics and the automotive industry. The research carried out has facilitated the publication of 21 scientific articles in specialised journals as well as over 50 contributions to international conferences. Likewise, several articles are currently in progress that will lead to greater scientific dissemination of the work done during the project.